Video ads for cars are becoming more commonplace by the day, and as long as the internet’s lanes remain open, they’ll allow for the consumption of vast amounts of data by the public at large. There’s no reason some of that data can’t be for the car you have for sale. Whether you’re a seller looking to connect with a customer, or a potential buyer in the market for a car, making a video ad to sell your car is a good idea. Many of the same principles for taking good photographs apply equally well to making a good video. Take a look at Photographing Your Car, an earlier installment in this series, for ways to get the best looking images possible. Take note of your equipment and be sure you aren’t using a lens that will distort the video. Some wide-angle lenses will cause the image to bend at the edge of the frame, giving the video a “fish-eye” effect. This distortion is off-putting and stressful to view for extended periods of time and should be avoided if possible. This is the same reason that wild camera angles and motions should be avoided too. Keep the camera motion as smooth and steady as possible so that the viewer can focus on the vehicle. Though people are spending more time than ever on the internet, you don’t want to tax their patience with a disorganized and lengthy video. Decide on a target length for your video. Most shouldn’t take more than 2-5 minutes, but rare or particularly well-optioned vehicles could be justified in using more time. 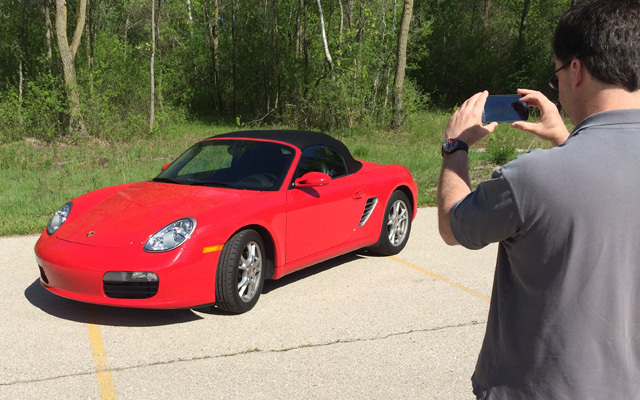 The Walkaround: Giving a potential customer the most complete view possible of the car is critical to a successful video. Start at one point of the car and walk clockwise around the vehicle until you’ve arrived back at where you started. You can discuss basic information regarding the car while you maneuver the camera, such as the vehicle’s year, make, model and special features. Don’t shy away from any damaged areas either. Customers immediately aware of any problems with the vehicle are customers who won’t have wasted your time when they decide to pass on the car after finding out later that it has damage. You’ll also be establishing trust, just by showing that you’re willing to be honest about the vehicle’s faults. Engine Ignition: Giving your viewers a chance to hear the car will help them to judge the mechanical components of your vehicle. You’ll want to capture the turn of the key and the sound of the engine as it starts. You may also want to open the hood and show the engine as it runs. If you have assistance during the production of your video, you should open the hood and show the engine as an assistant starts it, that way the viewer can see and hear the engine as it starts. Interior Pan: Open the door and include a brief pan of the interior. During this shot, you may wish to include a close-up of the odometer to show the vehicle’s mileage. Drive-along: Again, having an assistant can be invaluable here, and allow you to put a camera in the passenger seat while taking the car for a short test drive. This can further demonstrate the condition of your vehicle to viewers. Give them a chance to hear the transmission at work, and the engine operating at different speeds and accelerations. Undercarriage: If lighting conditions allow, or if you can get under the car with ample head room to spare, a good view of the undercarriage will almost always be positively received by viewers. Southern Motors is part of the Cars On Line Dealer Network, and produces low-cost videos that demonstrate just about everything you’d want to see in a video designed to sell your car. Their videos run a little longer than the typical video ad, but the energetic and knowledgeable cameraman keeps the viewers interested. 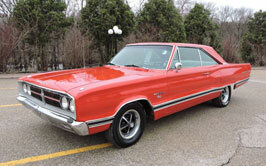 Check out this video for a 1964 Chevy Impala SS they listed for sale. With digital video, you can take as many shots as needed to get the perfect video, and you can get away with even more if you’re comfortable doing some editing on the computer later. It’s a relatively simple matter to load a video to YouTube (Click here for YouTube’s How to Upload video) and once it’s loaded you can contact Cars On Line to share the link with us. We’ll happily embed your video in your Cars On Line ad at no additional charge. Who is the Greatest NASCAR Driver of All Time?